Supplier & Distributor of Digital HD Projector. Our product range also comprises of CCTV Camera, Conference Phone and Epabx Systems. To meet propelling demands of our valuable clients, we are presenting ourselves as dependable trader, retailer, distributor & supplier of Digital HD Projector. Used to fulfill the conferencing needs of our clients, the projector offered by us is obtainable in varied specifications as per the variegated demand of our clientele. This projector is developed using topmost grade material and sophisticated technology in conformity with the certified norms. 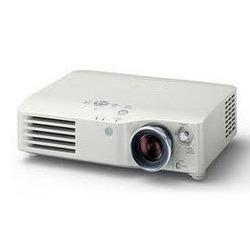 Offered projector is well checked against the diverse parameters of quality before supplying to clientele. Looking for Digital HD Projector ?